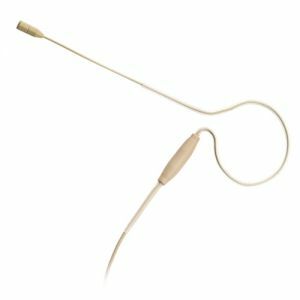 Electro-Voice R300 wireless mic system - Headworn. 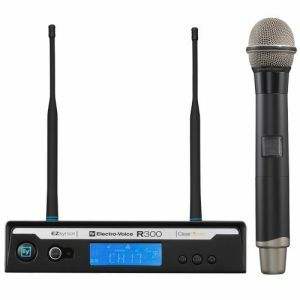 Professional quality wireless microphone systems at an entry-level price! Rack-mountable metal receiver, sturdy metal bodypack and handheld transmitters, and remote-mountable antennas are of a build and performance quality usually reserved for the highest-end professional products. EZsync™ uses infrared technology to set the transmitter to the correct frequency, confirming operation in one automatic step.